Located in north-east Fort Collins, Colorado, this age restricted, gated, active adult community generates many questions. The land lease concept, while well know in retirement areas such as Arizona and Florida, is relatively new in this area, and as such is not well understood. The owner of a home in Sunflower owns the structure, but not the land underneath. The land is leased from the Sunflower community ownership. Instead of an HOA fee, the land lease covers the items commonly covered by an HOA fee such as grass mowing, community programs, and use of the well appointed clubhouse. 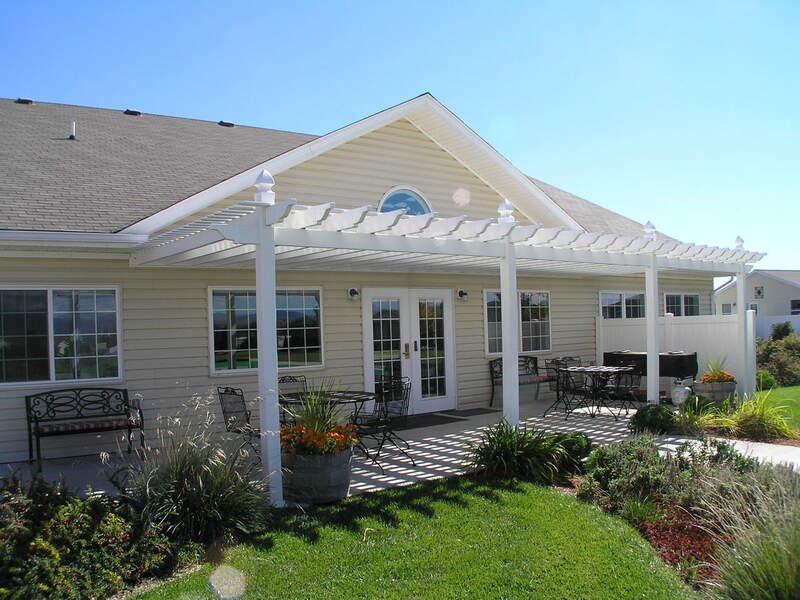 The homes in Sunflower have low maintenance landscaping and vinyl siding, reducing the time a resident has to spend on taking care of the outside of the house and yard. This allows some residents to lock and leave for seasonal or extended travels. 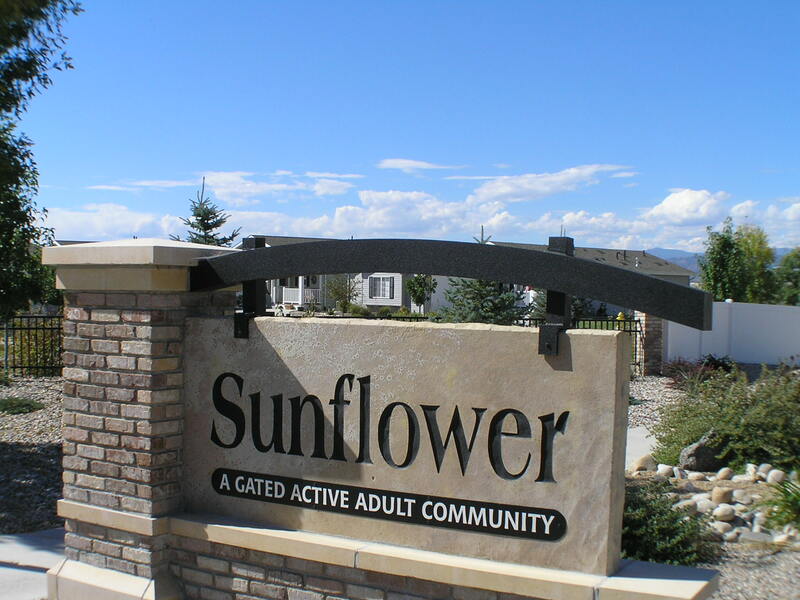 Community is a big part of living in Sunflower. The subdivision is divided into several “neighborhoods” that take turns decorating the clubhouse and planning and putting on activities. Lifetime friends develop in these neighborhoods, and neighbors are there for one another in a pinch. The clubhouse is the central gathering place in the community. Residents can be found most evenings playing cards or billiards here. Different groups meet here throughout the week, as well. Residents can reserve the clubhouse and use the kitchen and facilities for family or other gatherings that may not fit in their home. Amenities at the clubhouse include large and smaller meeting rooms, dance floor, kitchen, library with internet stations, exercise room with equipment, billiard room, patio with barbecue grill, hot tub, Pickle Ball courts, shuffleboard alley, and pitch and putt golf practice area, among other things. For an additional charge, residents may store RV’s and other items such as boats and cargo trailers in the storage area. This option is on an as available basis. Lot rents for all new leases begin at $750 per month as of Janaury 1, 2019. Additional community pass through fees include community admin fee, property tax, insurance, and optional snow removal. These fees, along with the sewer and storm water fees total about $128 as of January 2019. Water and sewer are provided by an independent supplier, but are charged through Sunflower and not included in the lot rent. Additional utilities such as electric, phone, cable, and natural gas are independently contracted for by the homeowner. A new lease is typically signed when someone new purchases a home. The lot rent is subject to annual increases. In order to purchase and live in the community, one resident of the home must be at least 55 years of age, and no one under the age of 18 may live in the home, though grandchildren may visit for multiple days. As a part of the purchase process, and age affidavit is completed and confirmed. The homes are modular in construction, with permanent garages built on site after the house was set. Throughout the development of the community, there have been two different phases of construction. Prior to mid 2004 saw homes being built on stilts and skirts (HUD standard), while homes constructed after mid 2004 are built on permanent concrete foundations (IRC standard). The newer homes on concrete foundations typically bring a premium price because they are easier to re-sell. Due to the current lease, financing is unavailable, so cash sales are current the only option for buying in the community.